Police Promotion In-Basket Assessments -What You Need to Know to Score Your Best! Expert Resources and Coaching for Your Law Enforcement Promotion In-Basket Exercise. The Police Promotion In-Basket Assessment - For Sergeant, Lieutenant, Captain and up to Deputy Chief or Chief of Police - is VERY DIFFICULT to MASTER - Don't Go it Alone! NEW RESOURCE - Mastering the Assessment Center Process - by Dr. Linsey Willis - The Assessment Center process is the best method for identifying management potential in candidates and whether they can demonstrate a talent for planning and organizing, and possess the necessary judgment, communication skills and decision-making ability to move up the ranks. Many candidates do possess these abilities, but they have not learned how to apply them. This book will teach you how to use all your potential. Order Mastering the Assessment Center Process today! What Exactly Does an In-Basket Measure? Think police in-basket assessments are EASY? They're NOT. You don't just read a few phone messages and emails and jot down a few notes. Do you know what a police promotion in-basket will NOT measure? Clients of our Promotion Testing Course can take our example Police Promotion In-Basket Assessment - a timed, 90 minute, difficult, 12+ item in-basket originally designed for a Lieutenant/Captain promotion process. Enter your email address below. You can unsubscribe at any time. Also download - FREE - our proven study system - The 10 Steps to Written Exam Mastery. 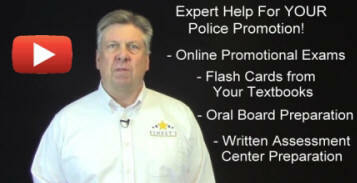 And LEARN MORE about the Expert In-Basket and Police Promotion Assistance available to YOU! Written Promotion Exams - Practice with a sample In-Basket assessment and role-play flash card set. Also, professional and expertly written exams are available for the 80+ police textbooks most often used by law enforcement agencies. Oral Board Preparation - Since 2004, over 97% of our promotion coaching clients have passed their promotion exam! We offer online e-Learning courses, one-to-one confidential coaching, or a one-day workshop, all aimed at meeting and exceeding your expectations and boosting your confidence in your ability to come out on top of your department's promotion list! In-Basket Preparation - You can choose to take a standard or customized in-basket prepared for you, or any of nine (9) packages of assessment center coaching, or customize your own! You can have a Q&A session with assessment center experts, take actual in-basket and assessment center exercises, and receive one-on-one coaching from 30 minutes to a whole day or more! 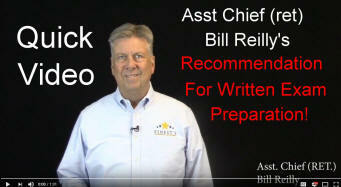 Receive a copy of our eBook - Police (Combat) Resume Writing Techniques - with Sample Resumes and Cover Letters for Law Enforcement - entry-level to Chief of Police. Claim Your FREE copy - just for signing up for our newsletter! Experts are Available to Help You Prepare For Your Oral or Written In-Basket Assessment! PREPARE for Your Promotion to Police Sergeant - Lieutenant - Captain - Deputy Chief or even Chief of Police! Law Enforcement promotions are too important, and come around too infrequently, to be left to chance. To come out number 1 on your department's promotion list, you should seek out the help and advice of experts in the field. 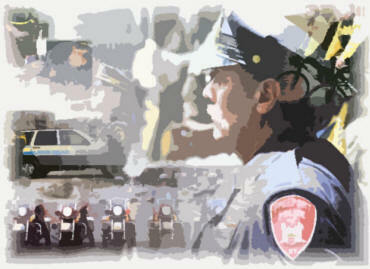 If you are facing an In-Basket Assessment, written or oral, or any form of assessment center exercise, (leaderless group, role playing, evaluation counseling, disciplinary hearing, etc) your first step is to utilize the knowledge and expertise of those who have spent their entire careers in police work and been promoted repeatedly. These experts have written and designed promotional exams, oral boards, in-baskets and assessment center exercises, and have have helped THOUSANDS of law enforcement officers just like YOU achieve their promotions! There is no doubt, if you are serious about passing your police promotional in-basket assessment and achieving your promotion, and along with it gaining the extra prestige, pay and pension benefits, you should look to the experts to help you prepare. If you want to know how to get promoted in law enforcement, you need only utilize the YouTube videos to guide you to the expert resources and links found on this web page! Each of these experts is versed in the areas of police promotion written exams, oral in-baskets and oral boards and assessments, and written assessment center exercises. Lt. Paul Patti (ret), Asst. Chief Bill Reilly (ret) and Dr. Linsey Willis. They have helped thousands of promotional candidates achieve high scores in the areas of police promotion written exams, in-basket assessments, police oral boards and assessments, and police written in-baskets and all other assessment center exercises. Our department just completed our Sergeant's testing for this year. Thanks to your program I finished #1 after the written examination and #2 overall out of 19 applicants. Just wanted to say "Thank You!" very much. Your program is an invaluable resource. I have already recommended your program to my friends in the department who will be testing in the future. Keep up the good work." I wanted to thank you again for the training session that we did a few weeks ago for my in-basket exam. Your teaching was extremely helpful and I ended up coming in 2nd place out of 21 people. I was promoted last week and I am really enjoying it. I’m sure I will be using you again in a couple of years when my next process comes up. Thanks. Just wanted you to know that we completed our Sergeant’s Promotional Board. I finished first in the department and have been promoted to Sergeant! Read more about their company's offerings and the Police Promotional Testing Course. Since 1985, Police Career and Promotion Services, LLC has helped THOUSANDS of candidates just like YOU pass their police in-basket assessment and achieve their promotion. You can try a 90-minute self-timed, 12+ item difficult police in-basket originally designed for a police lieutenant or captain promotion. You can take it in the privacy of your home, over and over until you are proficient. Read more about their company's offerings for the police in-basket assessment and the Police Promotional Testing Course. Visit Finest's Professional Development for material to help with your Oral Board Preparation.